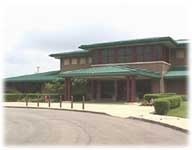 USP Allenwood is one of only a few Federal Prison Complexes in this country operated by the Federal Bureau of Prisons. It's located down in a valley way out in the middle of nowhere and sprawls out along the edge of a Federal Preserve. The "complex" includes a Maximum Security Penitentiary, a Medium Security Correctional Institution, a Low Security Correctional Facility, a WITSEC Facility for high profile government informants, an Officer's Training Center, and a former Prison Camp. At night the complex uses so many lights for security that it can literally be seen from outer space. Allenwood gained its notoriety about 30 years ago when a number of high-profile officials were convicted and sent to the Prison Camp. At that time the conditions there were so "comfortable" (by prison standards) that the moniker "Club Fed" was invented and circulated by the mass media. Current day media sources frequently still use the term to grossly misrepresent the conditions of all federal facilities and inflame the general public. When people heard that I was in USP Allenwood and "Googled" it, most of them were mislead to believe that I was living quite comfortable. However, I wasn't at the Prison Camp...which has long since closed. I was actually trapped behind a wall that was surrounded by multiple censored fences, miles of razor wire and seven gun towers inside of a Level 6 Maximum Security Penitentiary. Never once during all my years there did I ever feel "comfortable."